Nauvoo Times - Dian Thomas - Sampling "Money in the Bank"
Sampling "Money in the Bank"
The challenge in the Netherlands is not to find a cheese shop but to decide which cheese shop to visit and then which cheese to buy. 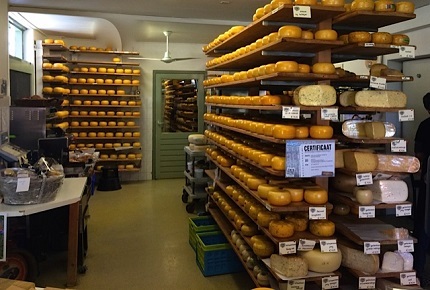 In a land where 66 pounds of cheese is eaten per person every year, the varieties are endless. You will find young cheese, slightly mature, sharp, old, low fat, high fat, Gouda, Edam, limburger or cheeses with cumin or even nettles in them. The list goes on and on. Yes, with this amount to production this is the cheese capital of the world. 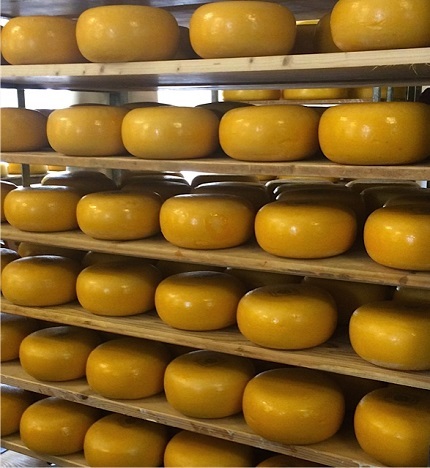 Despite their cheese consumption, Netherlanders are not as round as Gouda wheels. Riding bicycles keeps them trim. They are a bicycle-riding people. High on our list of fun adventures was to visit a cheese farm. 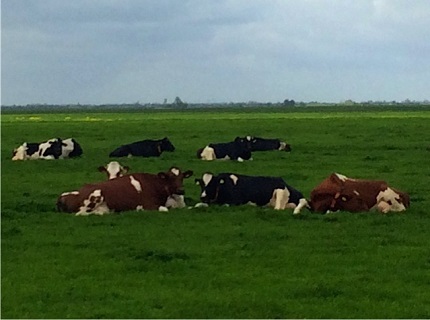 As we road down a small village road, we soon found our cheese farm where they make the cheese from the cows in their fields. This is now a three-generation farm. Grandmother was tending her grandchildren but when we arrived she soon joined up to give us a tour and a delicious sample of so many of the delicious cheese they make. Making cheese starts with big vats of milk. To that is added the rennet, which then curdles the milk until it becomes a soft solid. The curdled milk at this cheese farm was then put into all sizes of round containers that would then mold the cheese into round cheese heads. The cheese heads are then covered with several layers of a special plastic that seals the outside. Then a stamp is placed on the cheese to identify and tell where it was produced. After that, the cheese heads are stacked on shelves to age in temperature-controlled rooms until they are ready to go to market. 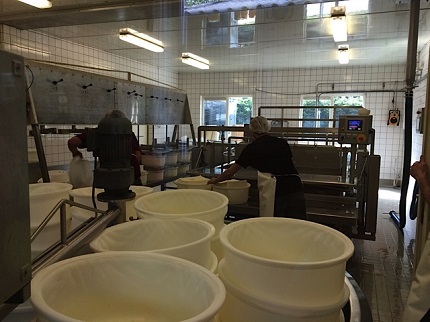 The person on the right is putting the square blocks of newly formed cheese into the round containers, where they will become cheese heads as they age. This lady is putting a thin coat of a food-grade plastic on the outside of the cheese to seal it off. 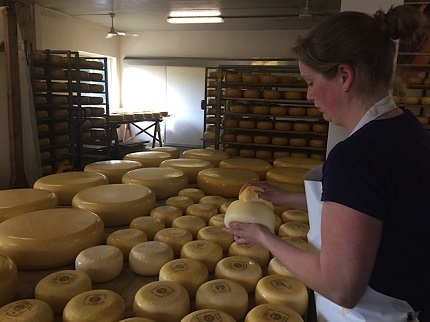 Cheese is then stacked on shelves and placed in temperature-controlled rooms to age. The final step in its journey is onto a beautiful rack with hundreds of other cheeses, waiting to please a customer with it delicious aged and unique flavor. Dian Thomas’s idea books are ideal for you to get great idea to do with you kids and grandkids. They are on special at www.dianthomas.com.